The Dead Sea is 420 meters below sea level. It is one of the world’s most saline water bodies containing 33.7 percent salts which is nearly 10 times more than the ocean. Every year thousands of people travel from all over the world to experience the unique therapeutic effects of the Dead Sea. The abundant minerals of the Dead Sea make it the largest natural health centre in the world. For decades experts have known that the Dead Sea is one of the richest in the world in terms of salts, minerals and trace elements. The unique composition of the Dead Sea salts and mud is very valuable in general health, skincare and especially the treatment of problem skin. 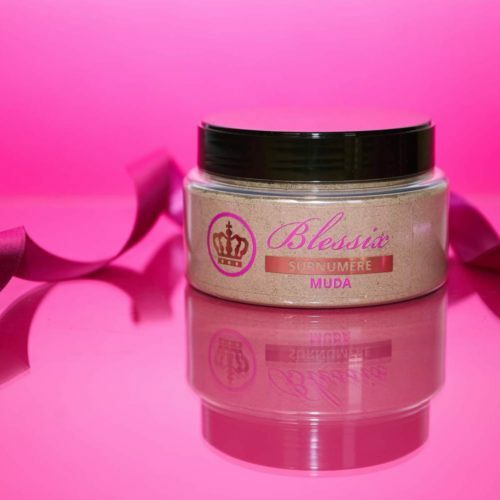 Multi-purpose body scrub that contains moisturizing and protecting aloe vera and vitamin E that will leave your skin feeling perfectly smooth and soft. This is a newly refined formula that cleanses and refreshes the skin and prepares it for further treatment. Salt crystals massage the skin gently, remove dead skin cells and stimulate blood circulation. Does not leave an oily residue. Contains avocado oil; the 7 vitamin oil (A, B, D, E, H, K, PP) creates a lipid layer on the skin, softens and soothes irritations, protects against harmful external factors. Dead Sea Salt is a natural, ecological and non-allergenic abrasive that contains trace elements. Apply the body scrub to wet skin and massage it in using circular movements, then rinse. Caution! Do not use on irritated skin or immediately after sunbathing.